I learned my lesson that year—don’t expect anything from the keynote, and you won’t be disappointed by whatever you hear. The following year, my newly-lowered expectations meshed well with the message that was delivered, leading me to discuss the overall cohesiveness of the products covered in the keynote speech. Fast-forward to 2009, and the Phil Schiller-delivered keynote address. In the lead-up to the Expo, I’d read the various new product rumors, discounting most of them in line with my ‘low expectations’ approach. I entered the keynote in good spirits, not expecting much at all in the way of new stuff. The words were equally simple, with Schiller saying “what I’m going to talk to you about is all about the Mac. 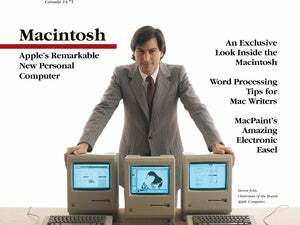 I think that’s appropriate at Macworld that we talk about the Mac.” When I heard “the Mac,” the “cool new hardware” synapses in my brain took over all normal, rational thought, and my low expectations went right out the window. “All about the Mac?”—wow, maybe all the rumors were correct. New Mac mini; new Mac Pros, perhaps; new iMacs; and a new 17-inch MacBook Pro! Excellent! You see, when you get right down to it, I’m a hardware junkie. Sure, I love the Mac’s software (both Apple and third-party created), but what really piques my interest is a new machine from Apple, pusing the limits of design and technology. So while Schiller was providing more details on the Mac stuff he was going to talk about, my mind was already wandering off, thinking about all the cool new hardware that was soon to be announced. Then, just about the time my imagination was ramping up to full speed (perhaps even a Mac NetBook or Mac Tablet!? ), reality came crashing back into the picture when Schiller said he was going to talk about three things, and that the first of those things was the new iLife ’09. OK, I thought, well, that still leaves two pieces of new hardware, that’s not bad. But as time marched on and we were still watching slides and demonstrations of the new iPhoto and iMovie, it seemed that perhaps even two new pieces of hardware was optimistic. Indeed, item two on Phil’s list was iWork ’09, also not a new piece of hardware. OK, down to one piece of new hardware…but which ultra-cool machine would it be? Maybe the Netbook, perhaps, saving the best for last? But no, as you all know by now, the third thing was the new unibody 17-inch MacBook Pro with its eight-hour battery-for-life. A fine machine, to be sure, but beyond the tech in the battery, there’s nothing really new to see here—the 17-inch MacBook Pro is a larger version of its 15-inch counterparts, which have been dissected in great detail over the initial months of their existence. So yes, it was interesting, but not all that exciting. Now, don’t get me wrong—today’s keynote didn’t even hit the bottom of my “iDisappointed” scale—I’m more disappointed at myself for allowing the “new hardware!” thoughts to creep into my brain. The stuff we were shown was generally impressive, save the clearly nowhere-near-done iWork.com iWork-web integration. The new facial recognition and geotagging features in iPhoto look simply amazing, the features added back to iMovie ’08 may very well be enough to get me to try it again (though I’m not a fan of “scrub to select”), and iWork appears to have received a solid update with some compelling new features. I thought Schiller did an admirable job of stepping into a really large pair of shoes, and his delivery was as good as I’ve ever seen. But when I look at the keynote in total, it was sort of a “yawn” event, and the lack of new Mac hardware—desktops, specifically—is disconcerting. It’s now been about 17 months since the Mac mini was updated; a full year since the last Mac Pro update; and more than eight months since the iMac was updated (which is lengthy, given its historical update rate). In the fast-paced world of computing, these are long periods of time for a model to go unchanged, and it’s obvious that updates must be coming soon…just not quite yet.